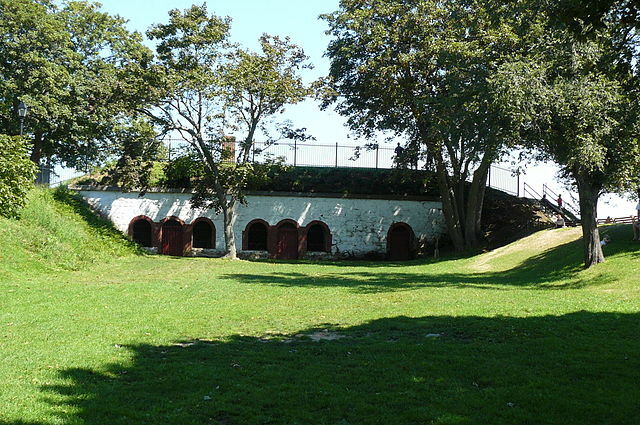 Fort Sewall was added to the National Register of Historic Places in 1975 as a rare “earthwork fort.” Built in 1644, mostly of wood, the fort is an important part of Marblehead history. The fort played important roles in defending the town during the War of Independence, the War of 1812, the Civil War and most recently, World War II. Unfortunately the fort has been examined and is in need of major repairs with an estimated cost of about $650,000. On January 21 this year the Marblehead Board of Selectmen voted to place an article on the warrant for the Town Meeting scheduled for May, but there are high hopes that money for the renewal can be had from outside sources. Town Planner Becky Cutting submitted an application for a grant to the National Park Service’s 2014 National Maritime Heritage grants program. Cutting requested “upwards of $200,000” for the restoration. The town also hopes to get a grant from the Massachusetts Historical Commission which could be worth as much as $100,000. If the grants fall short, then the Town Meeting article would help make up the rest of the needed funding. “In the event we need a small amount of money, this [article] would allow us to go forward with this,” McGinn said. “There is a good chance we will indefinitely postpone [the article].” In other words, if the grant money comes through the Board will be able to dismiss the article.